WASHINGTON, D.C. – National History Day has again partnered with the American Battle Monuments Commission (ABMC) and the Roy Rosenzweig Center for History and New Media (RRCHNM) at George Mason University to create a resource for understanding the sacrifice of fallen American heroes of World War II. Through this partnership, National History Day will lead a select group of teachers on an exploration of the path American forces traveled through Southern Europe in July 2016. Teachers interested in participating can apply at http://bit.ly/ABMC2016. Applications are due by September 4, 2015. During the year-long program, teachers will research the life of a service member from their state who made the ultimate sacrifice in World War II and is buried in Europe. These fallen heroes will be honored as each teacher designs engaging lessons that help American students understand the sacrifice of Americans who served in World War II. Teachers also select an aspect of the war in which to become an expert and use that knowledge to create an engaging lesson plan that invigorates the teaching and learning of World War II. For example, a teacher from the 2014-15 program created a simulation to help students understand the challenges facing families on the home front when a relative joined the service. Students are assigned a family role and must make choices that impact the rest of their family from the time of enlistment to the tragic arrival of a notice of death. Another teacher examined the Red Ball Express, a convoy system designed to bring supplies and fuel to the front lines. Drivers, many of them African American, travelled through treacherous terrain in newly recovered lands in one of the most dangerous non-combat jobs of the war. These powerful teaching tools will be turned into a digital resource by the Roy Rosenzweig Center for History and New Media at George Mason University and made available to teachers around the world in November 2015. The site will be hosted by ABMC at ABMCeducation.org. Through this partnership, ABMC will fund and support a group of middle and high school teachers tasked with developing lesson plans that illuminate the service, experiences, and sacrifices Americans made in Europe during World War II. These lesson plans will be added to those created by the 2015 group, currently in Europe. About NHD: NHD is a non-profit education organization in College Park, MD. Established in 1974, NHD offers year-long academic programs that engage over half a million middle- and high-school students around the world annually in conducting original research on historical topics of interest. These research-based projects are entered into contests at the local and affiliate levels, where the top student projects have the opportunity to advance to the National Contest at the University of Maryland at College Park. NHD also seeks to improve the quality of history education by providing professional development opportunities and curriculum materials for educators. NHD is sponsored in part by Kenneth E. Behring, Patricia Behring, HISTORY®, Jostens, the National Endowment for the Humanities, the National Park Service, Southwest Airlines, the Joe Weider Foundation, and the WEM 2000 Foundation of the Dorsey & Whitney Foundation. For more information, visit nhd.org. About American Battle Monuments Commission: Established by Congress in 1923, the American Battle Monuments Commission commemorates the service, achievements, and sacrifice of U.S. armed forces. 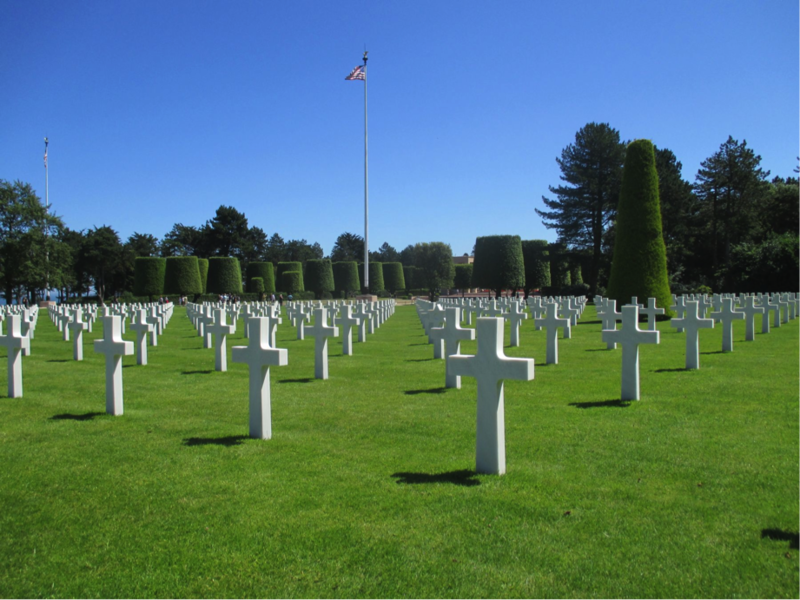 ABMC administers 25 overseas military cemeteries, and 26 memorials, monuments, and markers. For more information visit abmc.gov, or connect with us on Facebook, Youtube or Instagram. About Roy Rosenzweig Center for History and New Media (CHNM): For the past twenty years, the Roy Rosenzweig Center for History and New Media (RRCHNM) at George Mason University has used digital media to advance history education, preserve and present history online, and transform scholarship. RRCHNM is a democratic, collaborative space where scholars, developers, designers, and researchers work together to advance history education and digital humanities. Each year RRCHNM’s many project websites receive over 24 million visitors. For more information, visit chnm.gmu.edu.